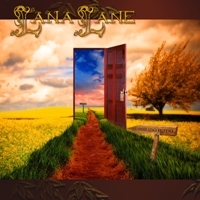 Lana Lane is back after a 4 year long break from the rock scene, and it's an exciting return with some experienced and talented musicans. Together with her husband/producer/keyboardist Erik Norlander(Ayreon) the line-up includes musicians like the great John Payne (ASIA), Bruce Bouillet (Racer X) on guitars, Jay Schellen (ASIA) on drums and Guthrie Govan on guitars. 'El Dorado Hotel' is over an hour of classic symphonic rock with alot of progressive parts as well. Lana got a unique, clear, calm tone and together with a mature appearance and with a broad spectrum in her voice she fits perfectly in this genre of rock. The opening track and in my point of view the best song on the album 'A Dream Full of Fire', the tempo and the lyrics creates a well balanced song and in the over 8 minutes tracktime just float away. The epic track 'El Dorado' is a gentle and wonderful performance from Lana with soaring melodies. The irish folk styled track ' Darkness Falls' grows into a gothic metal anthem in the choruses. 'Hotels' is something Enya could have done in her glory days, 'cos this is a acoustic and laid back track. 'Belive' begins as a promising rock track, but wtf did they do with Lanas voice!! They destroy the whole song with this distorted 'effect'. 'Life of the Party' is one of the best songs with good up-tempo and fast guitar riffs and at last some energy in one of the songs. Funky and progressive is also 'Gone Are The Days' where Lana hit some highs and a guitar solo is embedded in the track. 'Moon God' is another track they have ruined with the digital distortion on her voice in the chorus. But the instrumenal parts is holding my intrest and the pure vocal parts from Lana save the bi-effect from my abhorrence of the unnecessary cheating with electronic effects. The over 11 minutes long closing track 'In Exile' is a epic vintage symphonic rock song with some pure progressive influences and the technical level is high. So if you are a fan of this rock genre, maybe Lanas new album is something of intrest to put in your shopping bag. But for me is this a little too far away from my ordinary musical field.